I am looking online for Christmas gifts and BAM Workout Labs has done it. 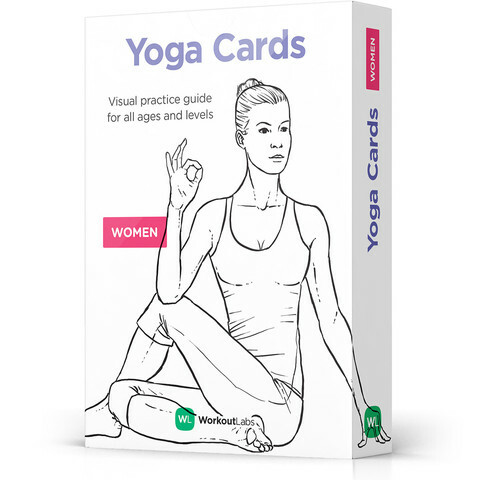 Decks of cards, specifically workout cards for body-weight workouts and yoga. While I am pretty sure that my children would not look forward to having these stuffed into their stockings I am, on the other hand completely thrilled. I travel to some non-swank parts of the universe and think I may have ranted a bit in the past about trying to lug kettle-bells and bosu balls everywhere, these bad boys will fit in my purse or stuck in a shoe in my bag. I can think of about 10 other people who NEED these. Once upon a time a supervisor of mine and I would play a game with cards. Just a regular deck of cards here hearts and diamonds were push-ups, clubs and spades sit-ups. Shuffle and flip one at at time, 10 of hearts = 10 regular push-ups, Ace of diamonds = 20 close hand push-ups, 4 clubs = 4 sit-ups, queen of spades = 20 rocky sit-ups. Great game for a quick workout when the weather is bad or equipment is limited, these cards take it to a whole new level. Sure one could make their own cards by drawing or digging around on the web for some illustrations, adding the basic directions, printing, cutting, driving to staples or where- ever to get them laminated but at $25 for a pre-made deck why? A spiral bound notebook or pretty printed pages in plastic sleeves, bulky (been there tried it- have a few that look way better on the shelf than in my gymbag). Tablet or phone, which is my usual MO, is awesome ❤ my NTC app and just downloaded the new weighttraining.com app- which I am dying to try- but I have run out of battery in the gym a few times so cards heck yes. Next Post Does walking up hills for 5 hours cancel fruitcake?